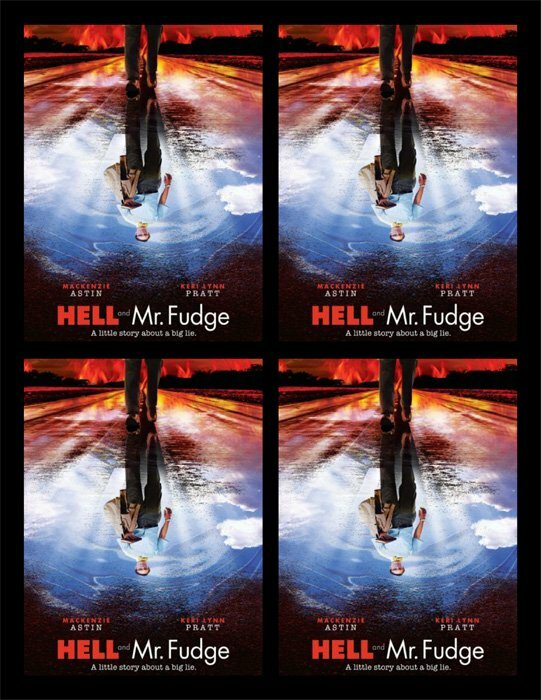 Advertising postcards to promote screening of Hell and Mr. Fudge. Printed both sides. Back is ready to be imprinted with local information. Custom print-ready file, formatted for imprinting and cutting, is available on request. (See illustration.) Pack of 50 - 8 1/2 x 11 inch card sheets. Four postcards per sheet. Makes 200 postcards.